From single-family homes to multi-family complexes! An aerial view of the Reliable Truss manufacturing facilities in New Bedford, MA. Built and ready for transport to the jobsite! Every component is delivered and placed in position by crane. Reliable Truss designs, builds, and delivers custom gazebos, trellises, cupolas, and porticos. If we can ship it, we can build it! These dormers are built and ready for delivery! Floor panels on their way to a customer! One of our flatbed trucks delivering a dormer to the jobsite. Check out this tour of our factory! A look at some of our high-end manufacturing equipment for floor trusses! A look at some of our high-end manufacturing equipment for roof trusses! If we can ship it, Reliable Truss can build it! Since 1954, New England builders have trusted Reliable Truss, a division of National Lumber, for all their structural elements. We are experts in wood trusses, structural components, and materials. Reliable Truss is also a leading distributor of Boise Cascade wood I-Joists and beams. For both residential and commercial projects, we design and manufacture wood roof trusses, wall panels, timber trusses, and floor panels. For a free evaluation and estimate, call 508-998-7877 or use our Contact Form. 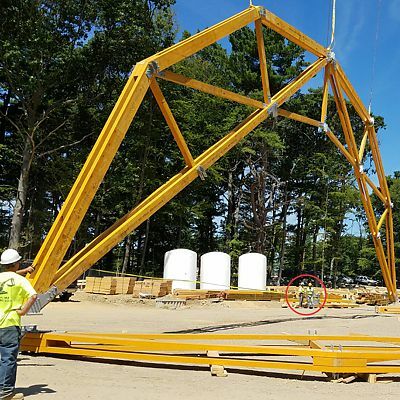 Pictured is one of fourteen heavy trusses that puts the scale of this project into perspective (notice the men under the truss, inside the red circle). This project was extremely challenging from engineering to design to fabrication and shipping. This is the type of project that separates National Lumber and Reliable Truss from the rest of the competition. 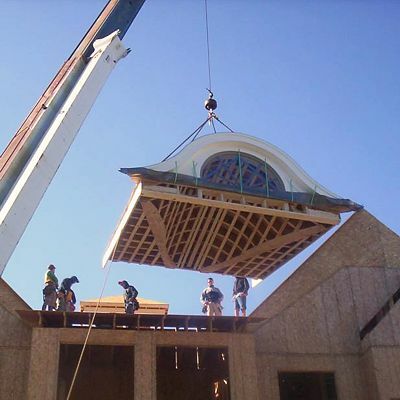 We can design, manufacture, and ship prefabricated cupolas, dormers, pergolas, gazebos, and porticos. Find out more about our Custom Pre-Fabrication abilities from our PDF brochure. 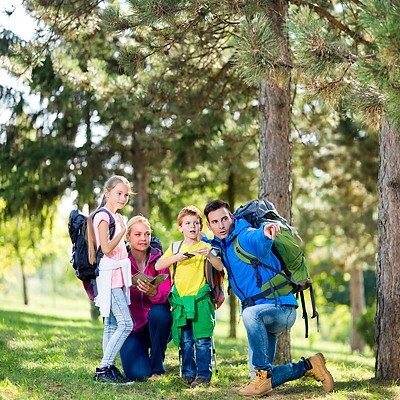 Going Green is about protecting the environment for our children. For the National Lumber Family of Companies, Green has a significant purpose, and that is to promote a real and meaningful environmental impact on the way we run our business and promote our products to our customers. Reliable Truss offers Green Building Materials. Learn more about what that means for you.